The Little Whisk & Co: 4 scenes: Floristry. Yesterday was a public holiday for the Adelaide Cup, which mean't that I could spend the afternoon working on upcoming blog posts, as they became quite over the past few days. I hope you enjoy this flower themed post! Floristry has to be one of my favourite interest - something so simple can really change someones mood. The beautiful colours, types of flowers and overall design can bring life and light up someones home or day. I love bouquets that are filled with a variety of combinations and colours - but especially deep pinks, cream, orange and yellow! So really all the bright colours that are exploding with colour and creativity. I am actually interested and looking into a floristry course currently, as it is practical skill to have on hand whilst eventually working in the events industry. 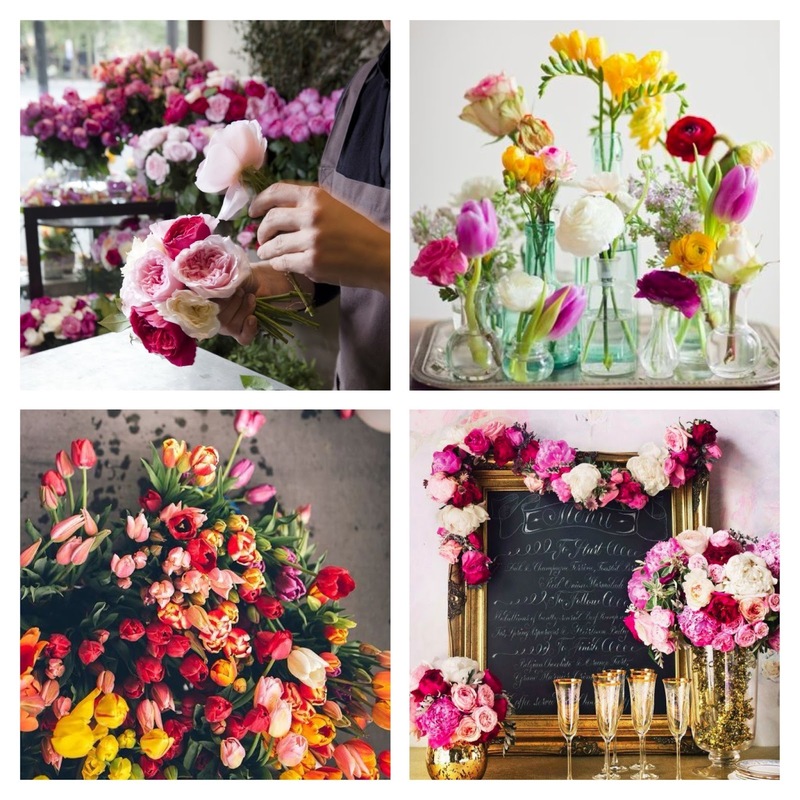 I hope that these photographs showed you some creativity and future inspiration for your home - it is super easier to buy a bouquet of flowers from the markets and place them in different rooms around your living areas to increase it life and brightness.